In past posts I’ve talked about how some webmasters are actually webamateurs and I found another example the other day. It’s probably been three days since I first saw this issue, and to my amazement, the errors persist. I would understand if it was some mom-and-pop shop, but we’re talking about STARBUCKS here! 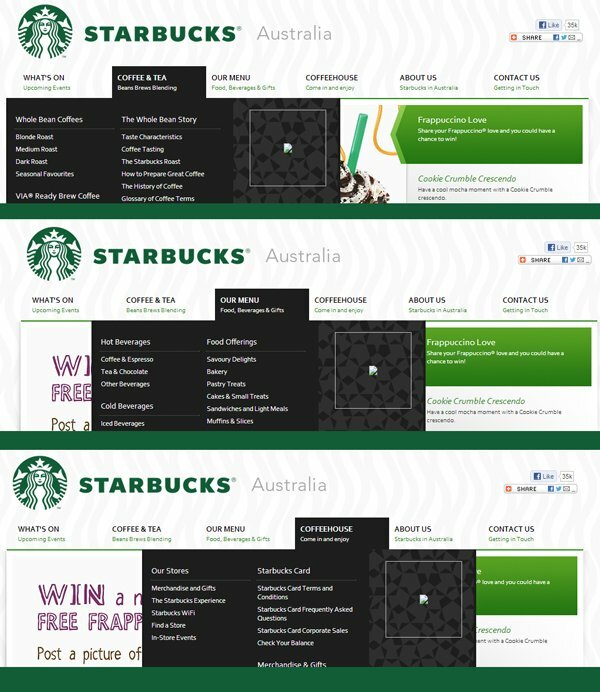 I don’t know exactly why I ended up on their Australian site, but I did which is when I saw a broken image in their navigation as you see in the image below. 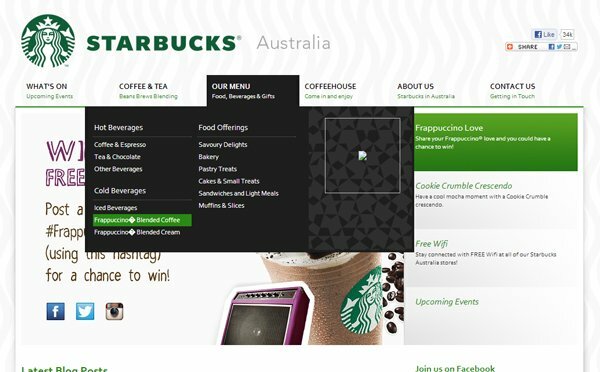 A broken image on Starbucks’ main navigation?! That’s inexcusable! Then I rolled over the other nav items and found that it’s actually THREE images in their main navigation that are broken! THREE BROKEN IMAGES IN THE MAIN NAV! Now for my favorite part – the broken images are links to something – and the links are broken too!! Clicking on any of those broken images takes you to their 404 page. Here’s a snip of the code showing why the images are broken and why the links error. The broken code. You can see that somebody forgot to fill in a image name and link up a page. Starbucks could use a little SEOMike because it’s amateur hour over there.